Snowdonia National Park is where the Welsh mountains meet the sea. From Conwy Castle in the East to Barmouth midway along the Cardigan Bay coast, this stretch of coastline alternates between rocky cliffs and dune-backed beaches. 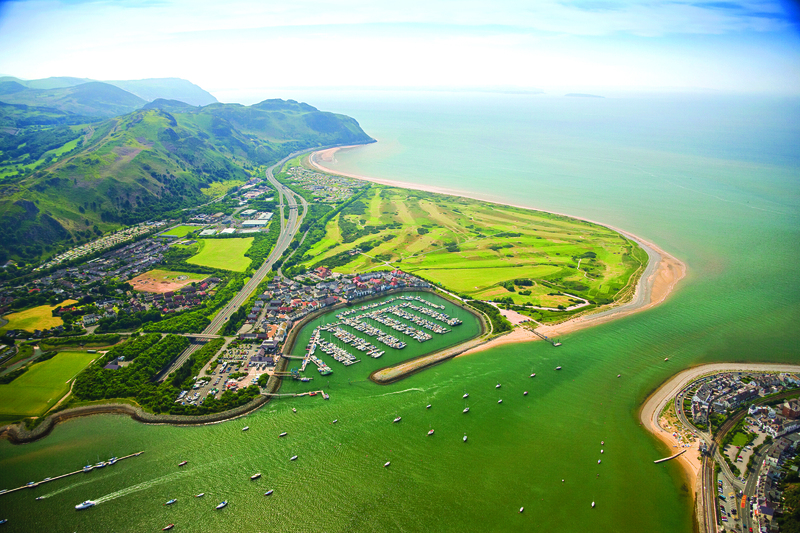 In-between you’ll find plenty of harbours and launches, including full facilities at Deganwy near Conwy, Port Dinorwic midway along the Menai Strait, and Caernarfon’s Victoria Dock at the Strait’s southern end. From these and other spots you can explore the spectacular scenery that makes this part of Wales stand out. Beyond Snowdonia, the coast becomes more gentle but no less appealing. New launch facilities can be found at Rhyl Harbour, affording great access to the North Wales coast as far as the Dee estuary and its renowned birdlife to the east, along to Bangor’s historic industrial harbour to the west. Inland, Snowdonia’s lakes and rivers are a magnet for sailors and adventure-seekers alike. Natural and man-made waters make for excellent sailing and paddling, as well as clubs and schools where novices and experts hone their skills. The UK’s leading whitewater centre can be found at Bala while paddling the rapids can also be enjoyed on the rivers Llugwy, Conwy and Dee, among others.